The 5th edition of the Network Planning Society of Amsterdam Airport Schiphol was held on February 28 and March 1. We are honoured to have welcomed 17 airlines at this year’s event. Good presentations & updates, networking and fun during two days spent in Haarlem and Schiphol. Thank you for attending: Aegean Airlines, Aer Lingus, AeroMexico, airBaltic, Air France, Air Transat, Austrian Airlines, China Eastern Airlines, Corendon Dutch Airlines, Etihad Airways, KLM, SAS, Singapore Airlines, SunExpress, Transavia, TUIfly and Vueling. Would you like to join us next year, e-mail to: Lute_R@schiphol.nl and we keep you informed. During the Airline Express, travel professionals are provided with the latest updates from the 27 airlines that are members of the PASRA (Passenger Airline Sales Representative Association). Traditionally Schiphol was the place for the first and last edition of the total of 8 workshops spread across the country. This year the Corendon hotel Badhoevedorp was chosen. The first edition took place at March, 11 and the last edition will take place at April, 14. As a result of the passengers grow Schiphol keeps investing and is creating space to increase passenger comfort. Examples are the new lounges. 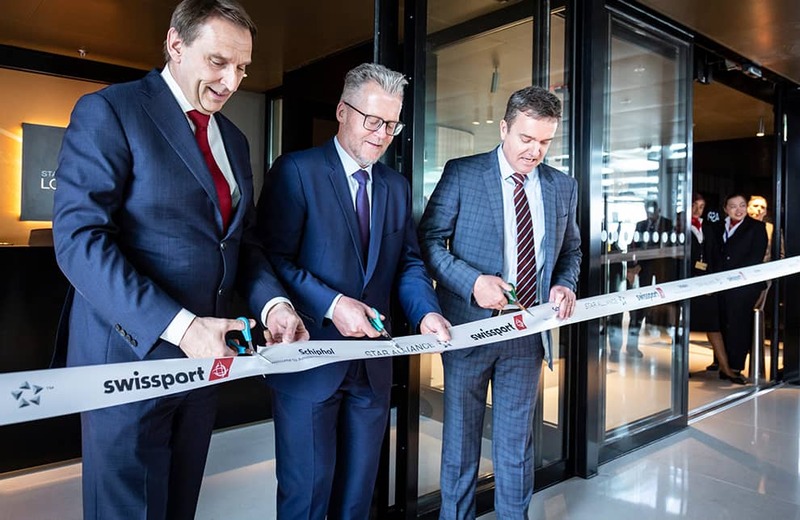 On March 7th, the Aspire Lounge and all-new Star Alliance Lounge has been opened. As part of the redevelopment of Departure Hall & Lounge 1 the two business class lounges for Schengen passengers has been remodelled.